The Wildwood Trail, in Forest Park, is a very popular 30-mile stretch of trail that sometimes gets pretty populated in its southern portion. When this time comes, head to the northern section for a tranquil and family friendly day of hiking. 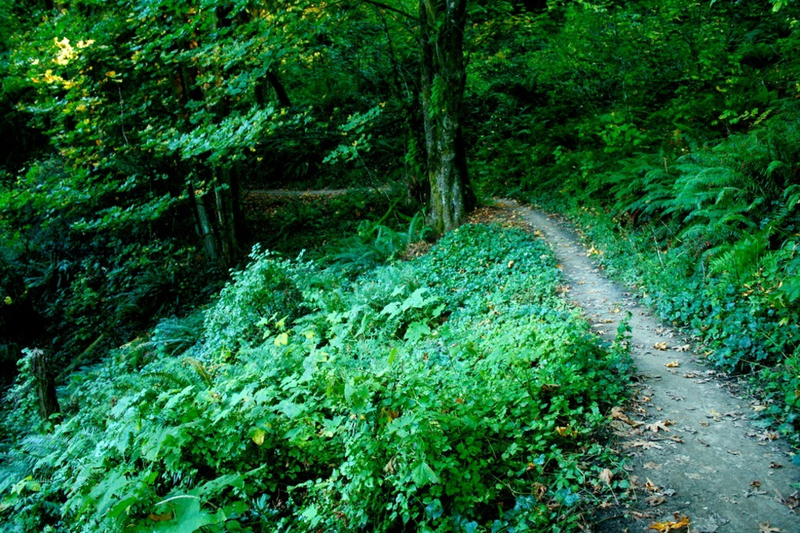 At over 5,000 acres, Portland’s Forest Park is the largest forested municipal park in the country. 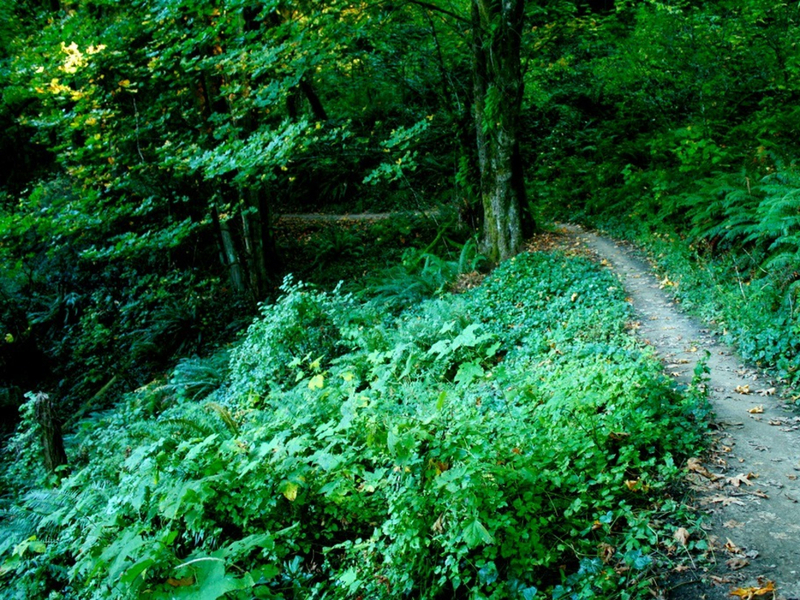 The Wildwood Trail alone twists over 30 miles through the length of the park. There’s a whole lot of park to explore. If you’re looking for a family-friendly hike that showcases the park’s beauty in solitude, consider hiking the Wildwood Trail’s north end. In addition to the lack of crowds that can overrun the trail closer to downtown, this section of the trail harbors no invasive species. 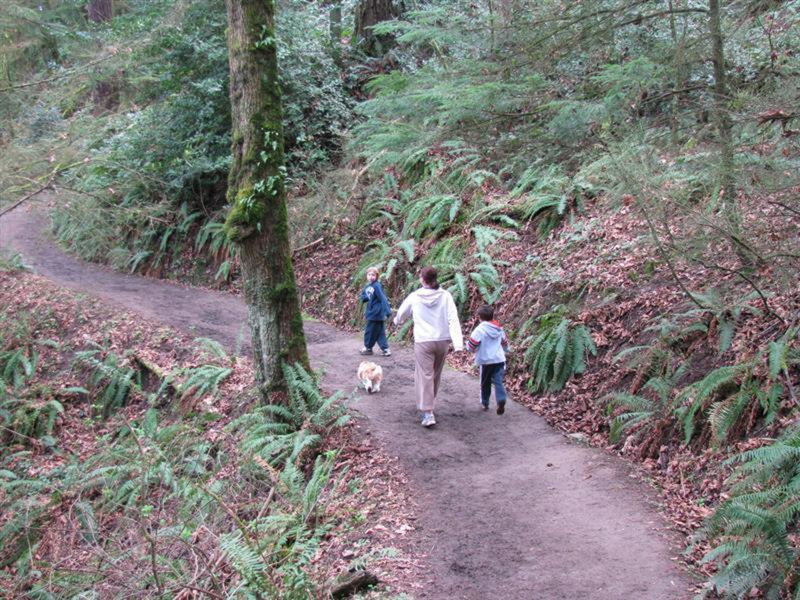 The easy, winding trail also never gains or loses too much elevation, so it’s perfect for an easy stroll for families. And because the trail is 30 miles one way, you can easily tailor the time and distance of the outing to your own desires. There is a beautiful loop from the Newton Road trailhead that is filled with old growth forest and huge trees. From the trailhead, take a connector trail to the Wildwood Trail to the right. Take a right on Newton Road and hike .78 then continue on a trail east for .53 miles. Take a left on BPA Road, then a left on the Wildwood Trail and back onto the connector trail to the right to complete the loop. This trail makes you feel as if you have escaped into the woods and is eerily still once you emerge onto the Wildwood Trail. As mentioned before, the north end of the Wildwood Trail is much less crowded than other parts of the trail while still being close to town. 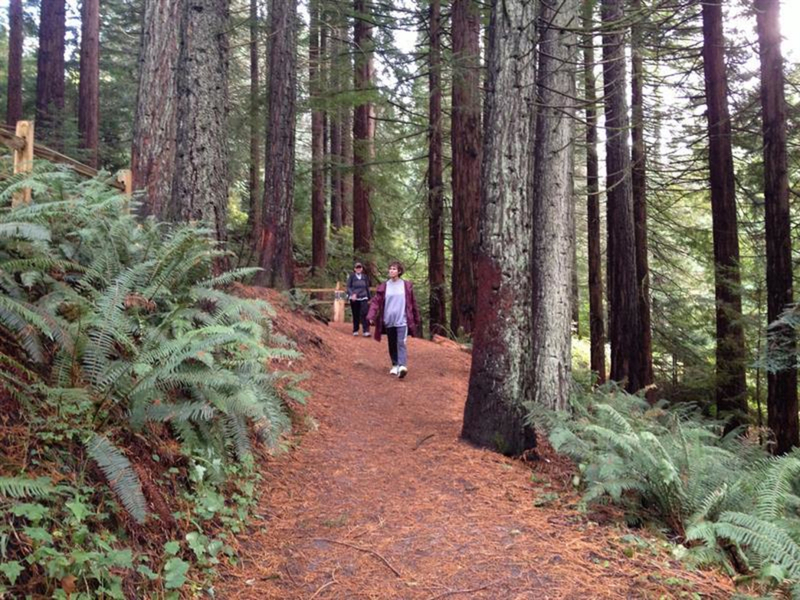 When you hike in this part Forest Park, you are constantly surrounded by beautiful old-growth trees while you continue down the trail over rocks and streams. Even given its proximity to town, the length of the Wildwood Trail makes you feel like you can escape the hustle and bustle of city life for some time. If you are looking for a good food and drink option, Signal Station Pizza in St Johns. They have great pizza, salads, and sandwiches, plus beer and wine. It’s family-friendly and was once an old Signal Gas Station. This trail is suitable for hikers of a variety of skill levels, but is challenging for those who wish to trail run on it because of a hill on Newton Road. The trail is about 5.5 miles, which is a moderate length for inexperienced hikers or those with very small children. If you are the opposite and are aching for a longer run, get back on the Wildwood Trail, then take a left on Newton Road back to the trail head to add 1.5 miles or do another lap on the loop to add another 5.5 miles and make it an 11 mile day. To get there from downtown, take I-405 N to US 30 W. Make a sharp left onto Bridge Avenue, take your first right onto NW Germantown Road, then a right onto NW Skyline Boulevard. From there, NW Newton Road will be on you right, which is where the trailhead is located.